Velociraptor is one of those bands that frustrates me. I love them to death but sometimes I wonder what it will take for this band to make ‘the leap’. For years they’ve sat at the crux of the Brisbane music scene but have yet to field a breakthrough hit. 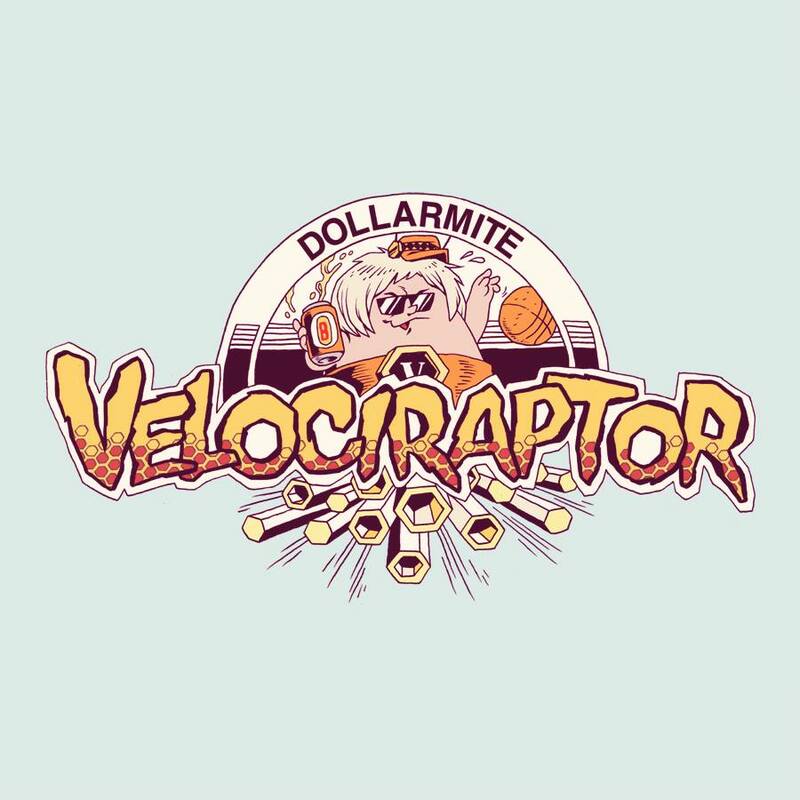 They’ve earned lots of radio play and put on a great show, but there seems to be something that make it hard for Velociraptor to make the transition to a festival worthy band. Maybe the numbers are a hindrance, maybe having key songwriters living abroad prevents creative fluidity or maybe having so many feeder bands eating up time hinders creative concentration. Whatever the case, Velociraptor is a band I’ve wanted to succeed for years and it’s just not happening. The raucous group released ‘Dollarmite’ this week, a garage-pop diddy that simmers but never boils. It contains all the usual V-Rap tropes – howling group harmonies, a blistering guitar solo and the top notch croon of ringmaster Jeremy Neale. It ticks all the boxes and has a bunch of things I like, but I don’t love it. ‘Dollarmite’ feels like a very safe single to put out, and maybe ithat’s good because it’s catchy and a lot of people will like it. The problem I have with it is that it doesn’t break new ground, it sounds like that group is resting on its laurels and going for the party rock home run again. Also, the mix is terrible. The song sounds thin and tinny – it doesn’t let the bass bubble to the top. Let me emphasise: it’s not a bad song; I just think it is very similar to what has come before. It’s a frustrating issue for me. Rewind to April and listen to the band’s previous single, ‘Leeches’. It came out and I really, really dug it but it was promptly forgotten about by most. The dark surf-rock groove and the forbidding vocal intonations were a nice departure, it moved with pace and was deftly arranged – it was a winner in my opinion. ‘Dollarmite’ sounds like it could have been written at any stage during the writing process for the self-titled LP, released last year (maybe it was, I don’t know). I’m still a big fan of Velociraptor and I still maintain my opinion that they deserve to crowd onto a festival stage. They’ve worked hard for long enough to deserve more recognition than they’ve received, but they cannot get there by releasing ‘Dollarmite’ over and over again.